President Donald Trump may have ended the separation of familieswho cross into the country illegally this week — but that policy was far from the only way his administration has been making life difficult for migrant children and their parents. Immigration rights activists and lawyers warned that Trump’s executive order could create new problems for migrant kids, and they say it did nothing to address the other ways the administration has been making things harder for children who are brought into the United States illegally. 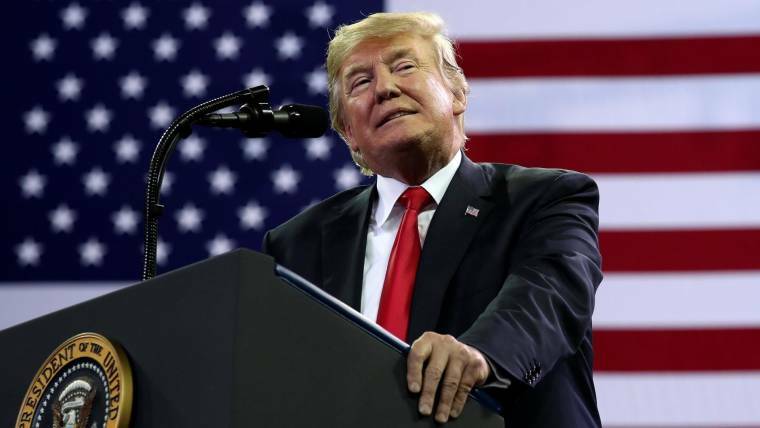 Trump has emphasized the prosecution and deportation of all those who are in the U.S. without documents, including families and longtime residents with no criminal record. His administration has also tightened rules on those who can claim asylum, cut funding for legal aid for unaccompanied children and raised the specter of Immigration and Customs Enforcement checks for sponsors of migrant children. The moves are a contrast to his predecessor, Barack Obama, who said in 2014 that his administration would deport “felons, not families.” Obama also worked to ensure that children spent a minimal amount of time in detention centers, following court rulings against his administration’s policies. “This administration has had a laser focus, a consistent focus, on this population with the goal of rolling back protections,” said Jennifer Podkul, policy director for Kids in Need of Defense, a group that represents migrant children. The group released a report last month documenting a series of ways unaccompanied children have been affected by Trump’s policies. The Departments of Homeland Security and Justice did not immediately respond to requests for comment on the advocates’ concerns. Now that Trump has said families will no longer be separated, here are some of the other ways the administration’s immigration policies will continue to affect children and their parents at the border. After Trump’s executive order on family separations, the Department of Justice filed a request Thursday in federal court to change the rules on detaining migrant children. The Trump administration is seeking to hold children longer than is now allowed by law so that families can remain together in detention while awaiting court appearances. Currently, the 1997 Flores Settlement Agreement and subsequent court decisions prohibit the government from detaining children for long periods under certain circumstances — generally around 20 days. The settlement requires immigration authorities to release children “without unnecessary delay” to a parent, legal guardian or other adult relative and for those children to be placed in the least restrictive setting possible. The Trump administration’s filing asks for an emergency exemption to those requirements, which would allow immigration authorities to detain children who arrive in the U.S. with their parents for longer periods in family residential facilities. The administration also asked that those facilities be exempt from the state licensing requirements in the Flores settlement. Podkul, of Kids in Need of Defense, said the Trump administration is looking to “take away minimum standards for holding children in detention,” which could mean families are detained indefinitely through their court proceedings. As for the more than 2,300 migrant children who were separated from their parents since May, there are no plans yet to reunite the families while the adults are in federal custody awaiting court hearings for unlawfully crossing the border, a spokesman for the Department of Health and Human Services said Wednesday evening. CHILDREN MAY HAVE A HARDER TIME FINDING A SPONSOR IN THE U.S. This month, a new federal rule went into effect that could make it more difficult for migrant children to find a relative to care for them in the United States. Under the rule, those who step forward to sponsor unaccompanied children may have their immigration status and fingerprints shared with ICE. Any adults living in the sponsor’s home could face those checks as well. The rule applies to children who are under the care of the Office of Refugee Resettlement, which identifies potential sponsors and runs a background check on them. The office had not been actively sharing the results of the check with ICE, but the new rule changed that. The Trump administration said the rule was designed to prevent children from being trafficked. Activists have warned the rule could have a major “chilling effect” on potential sponsors coming forward if they fear ICE will use their information for immigration enforcement. That could mean children languishing in detention centers, Podkul said. It was never easy to win asylum based on claims of domestic or gang violence, but now it will be all but impossible. This month, Attorney General Jeff Sessions ruled that fear of domestic or gang violence was “generally” not an acceptable basis for granting asylum. Podkul said many Central American children and families seek asylum with those types of claims, and the ruling could potentially endanger thousands of lives. Sessions’ decision “leaves children in dangerous and vulnerable positions,” she said. “My fear is that children who are fleeing extreme danger, that we’re returning them to their death. That’s my biggest fear,” she said. Within days of taking office, Trump issued an executive order cracking down on illegal immigration, walking back Obama’s guidance on whom ICE should target. While Obama had focused on criminals, particularly those who threatened national security, border security and public safety, Trump made it clear that anyone who was in the country illegally could face deportation. His executive order limited ICE’s exercise of “prosecutorial discretion” in deporting people, which meant that so-called lower-priority immigrants — families and those who had never committed a crime — were no longer shielded from deportation. Muzaffar Chishti, director of the Migration Policy Institute’s office at the New York University School of Law, said the change had a major impact on immigrant families. “Factors like is someone a nursing mother, does someone have a child who has health issues, or a child who may be in the finishing days of school — all those factors are no longer relevant,” he said. A series of changes by the Trump administration have made it more difficult for unaccompanied migrant children to make their case in court. Last June, the Department of Justice slashed funding for a program created under Obama that provided free legal services for such children. Immigration advocates say it is nearly impossible to win asylum cases without an attorney, and with legal nonprofits unable to keep up with demand, some children are going to court alone. The Trump administration has also lifted protections that previously allowed unaccompanied children to keep the legal benefits that came with their status even after they turned 18 or reunited with family. Unaccompanied child status comes with protections including making an asylum case first in a nonadversarial setting before an asylum officer and not in immigration court, Podkul said. Now, the Executive Office for Immigration Review, part of the Justice Department, can decide to reclassify those children, which means they could lose their legal benefits midway in their immigration case.